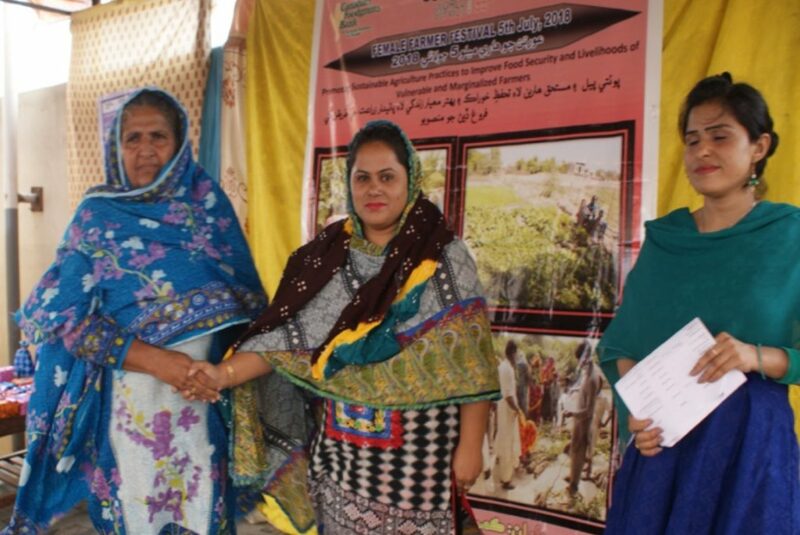 A Women Farmers Festival was organized by Community World Service Asia at Darbar Hall in Jhuddo under the Promoting Sustainable Agriculture project, supported by PWS&D and CFGB, in Badin, Pakistan. 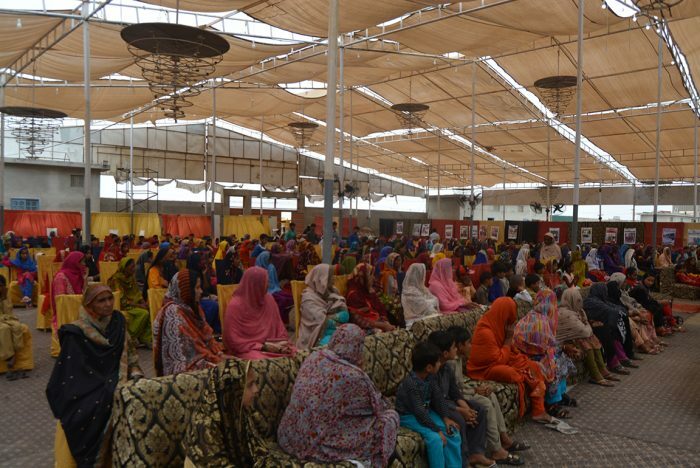 More than three hundred women farmers attended the festival that took place on July 5th this year. Eight guest speakers (all women), representing various local and international organizations, and bringing with them a wide array of expertise and skill, shared their experiences, learnings and advice with the women farmers attending the event. 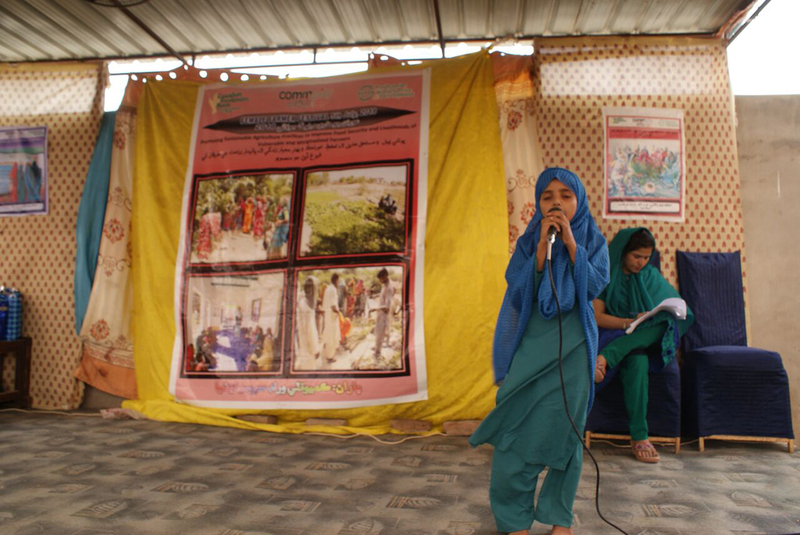 Shama, Agriculture Extension Officer, Community World Service Asia, introduced the organization and shared the plan and outcomes of the Promoting Sustainable Agriculture project to ensure food security in Badin. 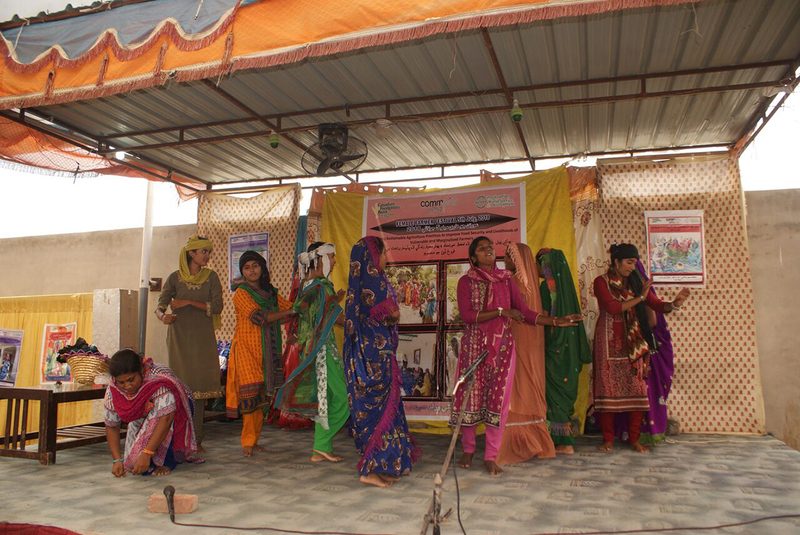 An interactive theater play was performed by the Parbhat theater group at the festival. 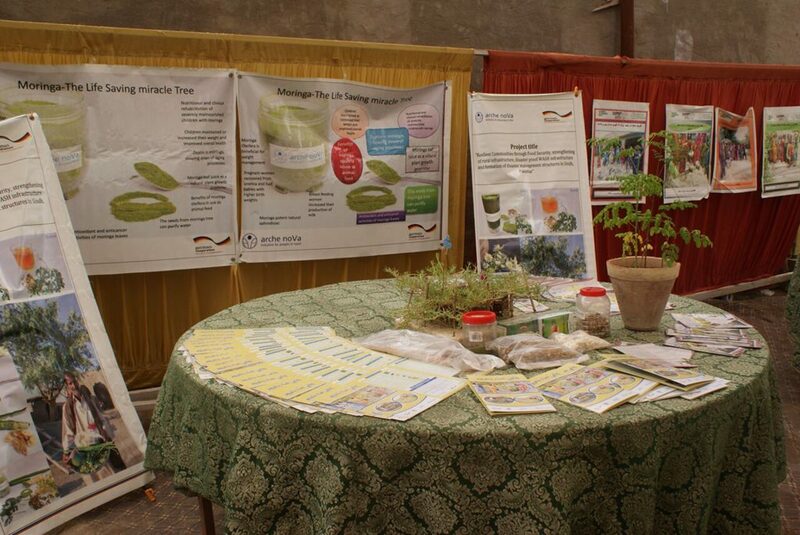 The theme of the performance was food security, nutrition, kitchen gardening and tree plantation. 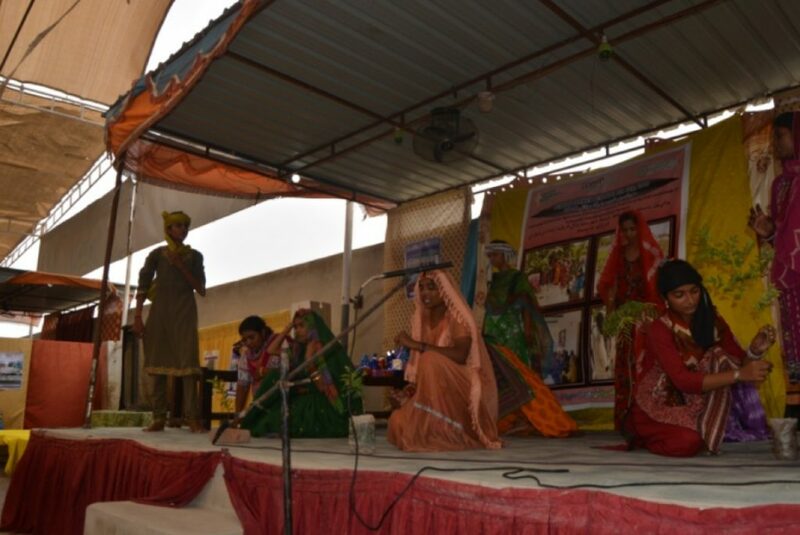 The performers not only highlighted the importance of a balanced diet, the need for special mother and child health care and ways of sustaining kitchen garden at times of water shortages, but also strongly emphasized on the perils of climate change and the role of progressive agricultural practices in mitigating its impacts. Local primary schools’ students entertained the audience with original poetry and humour story recitations, singing folk songs, and traditional dance performances. School-going children of Prem Nagar village performed a tableau focusing on the importance of food security, nutrition, tree plantation, environment, education and home gardening. To give a breather to the audience from the main theme in focus, students of the Ram Public School charaded an exclusive play highlighting the Sindhi culture and its social bindings prevalent in the province. Attendees of the festival participated in various entertainment activities such as musical chairs, eating competitions and more. 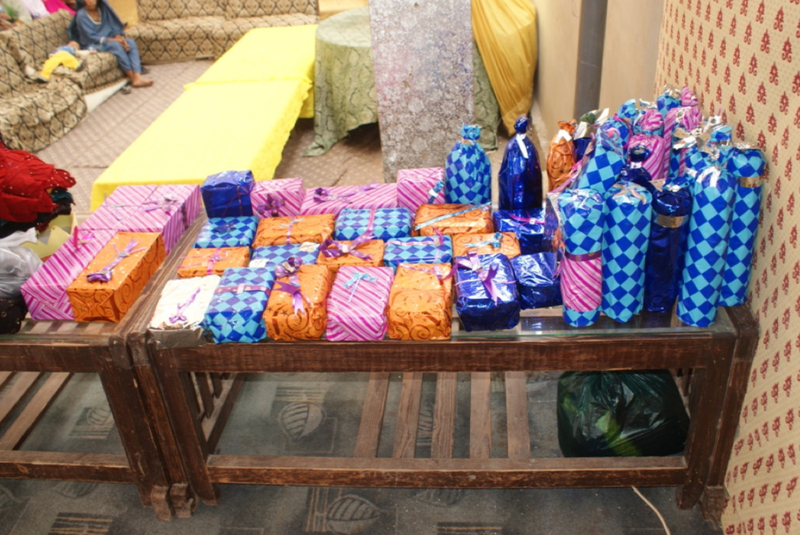 The winners were also awarded gifts. 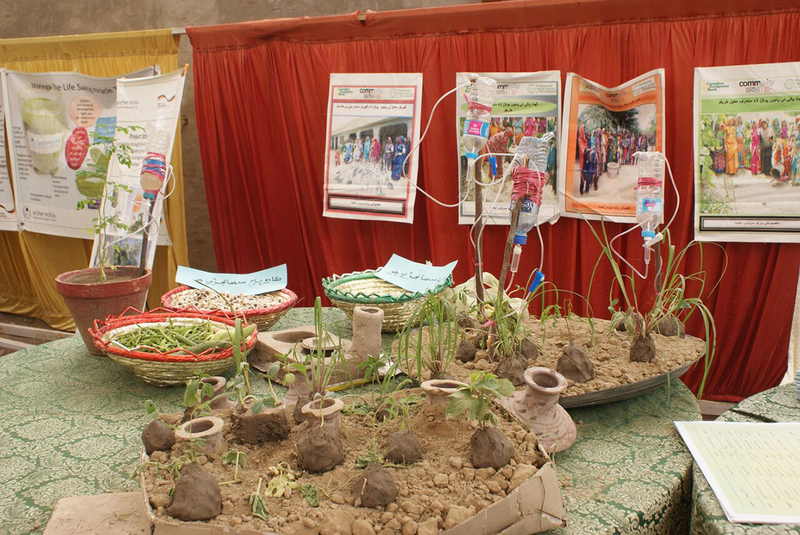 Models of Low Cost Drip and Pitcher Irrigation for sustainable kitchen gardening were displayed by the CWSA team. At the same stall, IEC material on nutrition, kitchen gardening, nutritional value of Moringa and other project interventions were also displayed. 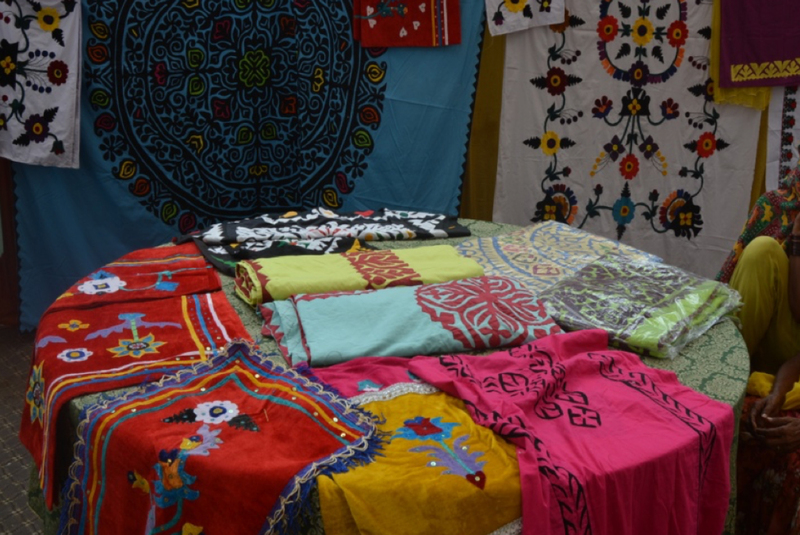 Local women artisans also displayed their vibrant handicrafts for sale at the festival. 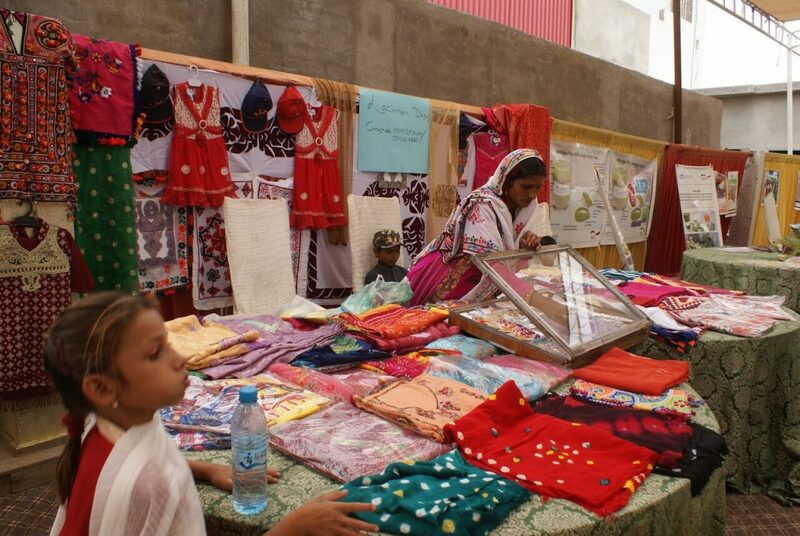 Other non-profit organizations working in the region were also given an opportunity to set up stalls, displaying local handicrafts and pictorial presentations reflecting their own project activities, at the festival. Distinguish guest speakers were presented with Traditional Chunri (Local scarf). 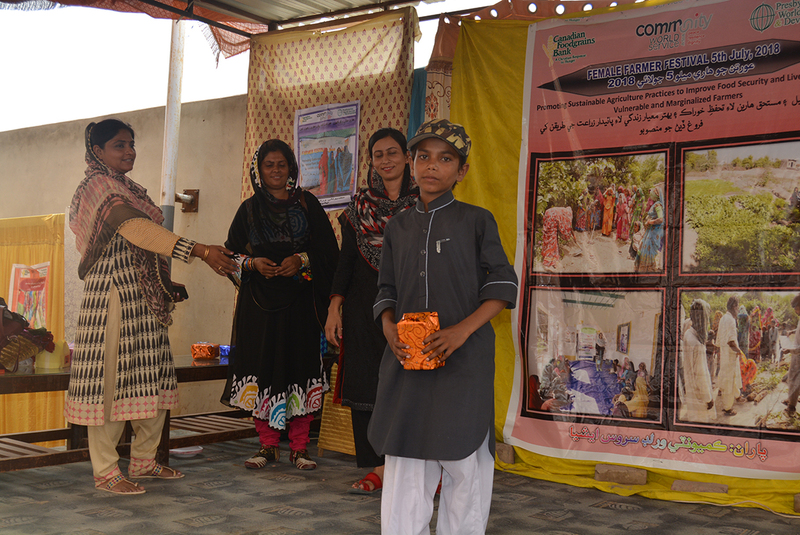 All the children who performed at the various activities at the festival were awarded with appreciatory gifts. 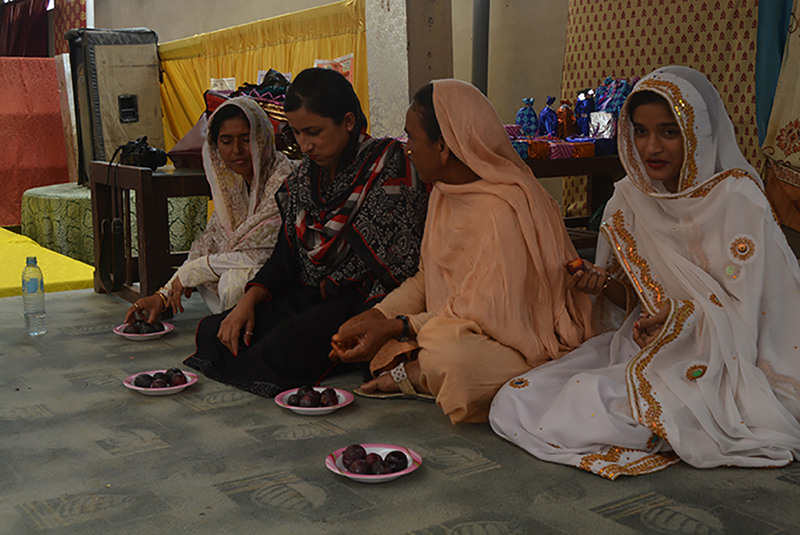 The festival was seen as a bridge that addressed the existing gaps between community members, local farmers and government officials and a big leap towards enhancing agricultural development in Sindh. 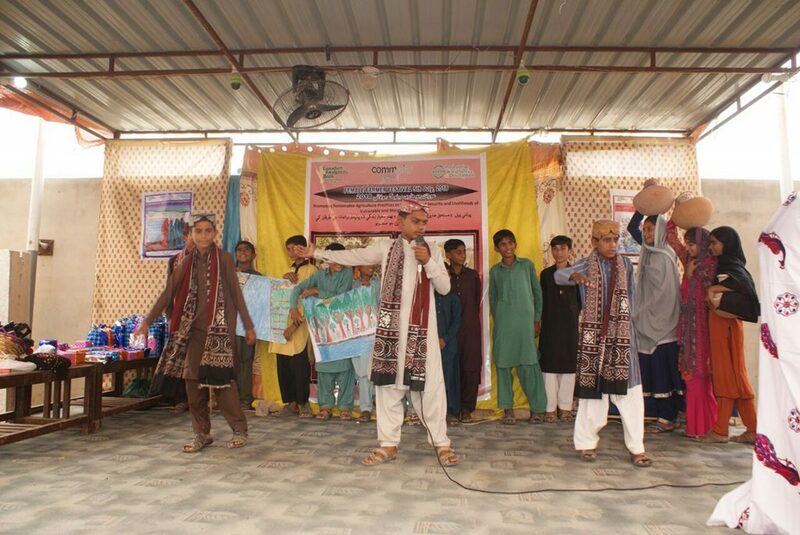 A local theater group in Badin.